Like most women my age, I read the book Eat Pray Love by Elizabeth Gilbert when it came out in 2006. I have always, and probably will always, be a fan of adventurous women books. Well...I like adventure books in general, but I love ones that include a woman close to my age running off and doing something no one expects her to be able to accomplish. They almost satisfy the itch I have always had to do something super adventurous and crazy....almost. So the original book Eat Pray Love was about a woman going through a divorce, and it's split into thirds. The Eat portion is spent in Italy, the Pray in India and the Love in Indonesia. Like a lot of the other readers, some sections spoke to me a lot more than others. I was a fan of the Eat and Pray parts, but found the Love part incredibly boring. Her experiences in Italy reminded me a lot of the time I spent living there...and really made me miss the food. Her experiences in India, attempting to find God were intriguing also. But Bali and meeting a new man were just meh. Even though I didn't think it was the best adventure memoir out there, it still stuck with me. Plus it was probably one of the first books like this I ever picked up, so I feel a little nostalgic towards it. Anyway, when I saw that a book was being published about people's stories inspired by this book...I was incredibly curious. 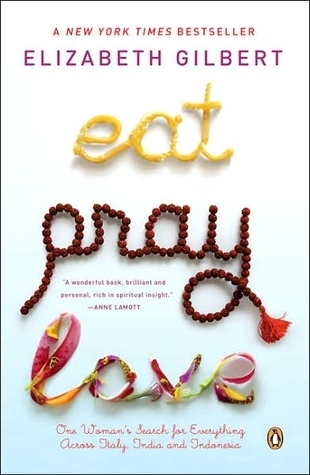 What exactly did Eat Pray Love make other people do?? Honestly, about three quarters of the way through this book I started skimming. I feel a little guilty...but only a little. I just found the stories to be so repetitive. I don't know what I was expecting from a book about a book I gave 3 stars to. 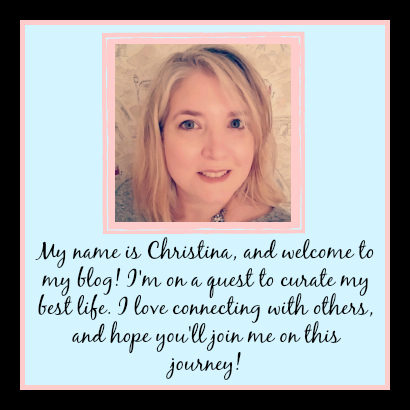 I think I was hoping to be inspired by other's inspiration...or moved to re-read the original book because it might hold the secret "thing" I have always been looking for. Alas, my expectations were clearly too high. I'm sure there are a few stories in here that rate above humdrum, but I can't think of one to relay to you. I like Elizabeth Gilbert, in that I follow her on social media, and have her book Big Magic on my TBR list. But there is a lot of hero worship in here that I can't really relate to. I guess there was one too many "and then this book showed up at the perfect time" moments, and referring to the author as Liz...like they were all best friends with her. Clearly I did not have that connection. 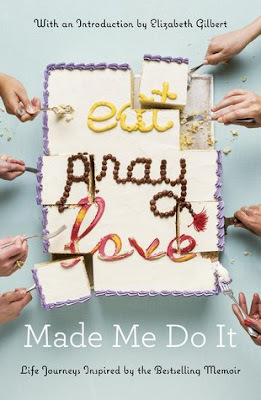 So, if Eat Pray Love made you do something...then you will probably like this book. It should definitely be on your to read pile, if for no reason other than to see if anyone else had a similar experience to yours. As for me, I am giving it 3 stars. It wasn't a bad book, I just didn't connect with it.